This article is meant to assist you with adding Prepaid Funding. If you have a question not addressed here, you can Contact Support. To add Prepaid Funding, go to Organization Billing and select Setup: Prepaid Funding. From there, click on the Add Prepaid Funding button. Once you’ve selected Add Prepaid Funding, fill in the required fields and any additional information. 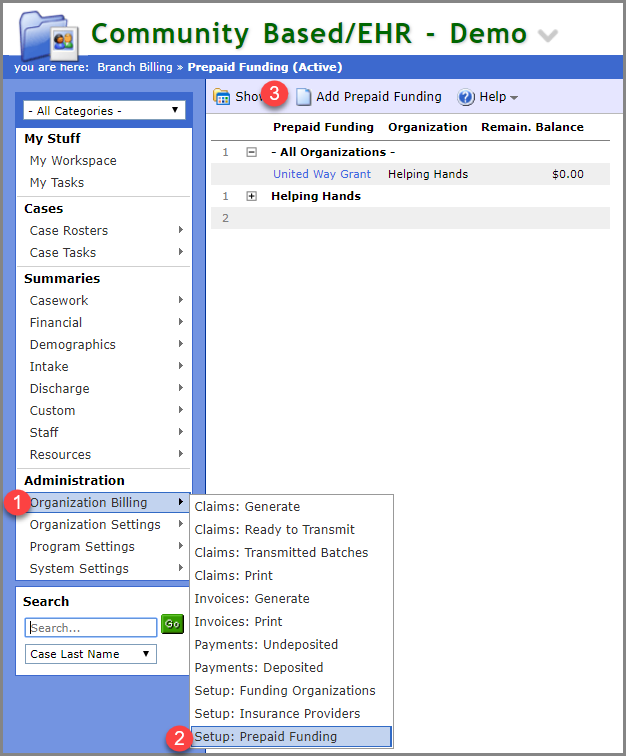 The GL Accounts Tab keeps track of the Prepaid Funding General Ledger Accounts. Fill in the account information for the Prepaid and Cash accounts in the required fields.